I love a truly from scratch sauce with fresh tomatoes from my garden. In fact, I’ll be posting my favorite garden fresh sauce recipe this summer. But this time of year, I am happy to compromise with this sauce. It tastes way better than any store bought sauce I’ve tried. Store bought spaghetti sauce contain ingredients like corn syrup and “natural flavors” which we all know can mean just about anything, including MSG. It can also be difficult for those of us dealing with allergies to find a jar of sauce that does not contain cheese and soy. I am thrilled to share with you my secret to making 5 jars of spaghetti sauce in 5 minutes for around $3! I buy the large can of tomato sauce at Sam’s (or Costco) for $2.33. I also buy the spices in bulk at Sam’s or Costco. The hardest part of this recipe is opening the large can! A regular electric opener won’t work. I use a manual can opener. 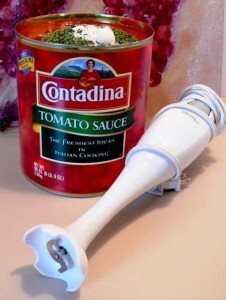 Once I have the can open, I add the spices directly to the can and mix with a cheap immersion blender (like this one ). That’s it! 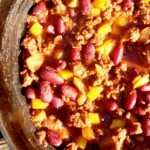 It’s ready to be added to cooked ground meat or frozen for later. But, you ask, doesn’t spaghetti sauce need to simmer? 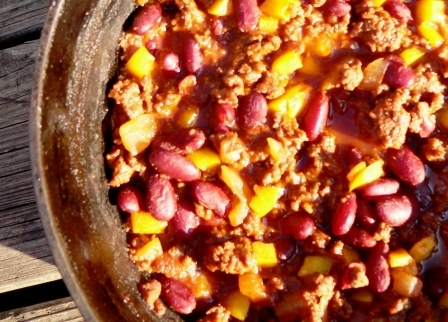 I used to simmer it before adding it to the jars but I find that cooking the sauce with ground meat is enough simmering time to combine the flavors. As a vegetarian, I have to say: Adding olive oil will not give you the good flavor of adding something cooked in the oil. This is really easy to do with kale, even if it is frozen, because it cooks so fast–give it 3 minutes in olive oil in the bottom of the pot, maybe with a clove of crushed garlic or some bits of onion, and then add the sauce and heat it up. Kale is crazily nutritious and cheap, too! 1. Open the can of tomato sauce. 2. Add the seasonings directly to the can. 3. Blend with an immersion blender or long spoon. 4. 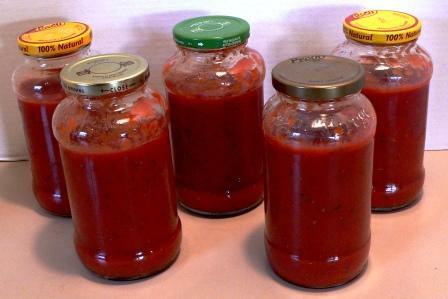 Divide sauce between 5 recycled spaghetti sauce jars or storage baggies. 5. Store sauce in the freezer. Which is better: Flaxseed vs Chia Seed? Flaxseeds are known for containing high levels of omega-3’s. Omega-3’s can help reduce inflammation, prevent and control high blood pressure and lower cholesterol. 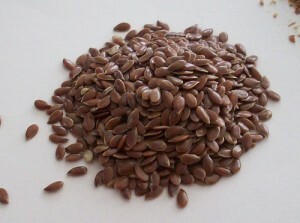 Taking 40 mg of flaxseed can help with symptoms of menopause. Flaxseeds are high in fiber, manganese, magnesium, folate and antioxidants. Grinding the seed is necessary in order to absorb it’s nutrients. Grinding the seed is necessary in order to make flax eggs. 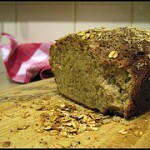 Whole flax seeds can be stored for at least a year but once the seed is ground it will quickly oxidize or turn rancid. Flaxseeds are high in phytic acid. Some believe phytic acid is good for us. 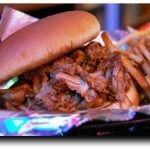 Others believe it is an anti-nutrient that must be avoided. Flaxseeds contain phytoestrogens. This can be beneficial to postmenopausal women or women with certain hormonal imbalances. However, since most of us already have more estrogen than we need and not enough progesterone, we should probably limit our flax consumption. Men might consider avoiding it all together. It is also important to note that one study shows pregnant women who consume flax oil quadrupled their rates of premature labor. Price: The best price currently available at Amazon is Bob’s Red Mill Golden Flaxseed . If you sign-up for Subscribe and Save you can get them for $.13 per ounce. Chia seed is higher in Omega-3s than flaxseed. Chia seed oil is more than 60% omega-3 making it one of the highest commercially available source. Chia seed is higher in fiber than flaxseed. Three tablespoons of chia seeds contain fifteen grams of fiber while three tablespoons of flaxseeds contain nine grams of fiber. Chia seeds are often recommended for diabetics because the balance of soluble and insoluble fiber slows the absorption of glucose. Chia seeds have one of the highest levels of antioxidants in a whole food. Chia is a wonderful source for calcium. Three tablespoons contains 307 milligrams of calcium. Chia seed is easily digested and does not need to be ground. 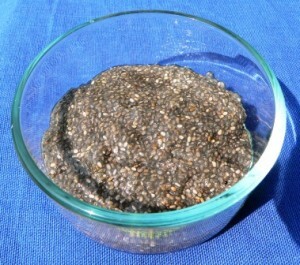 Chia seed will store up to two years in a dry place. 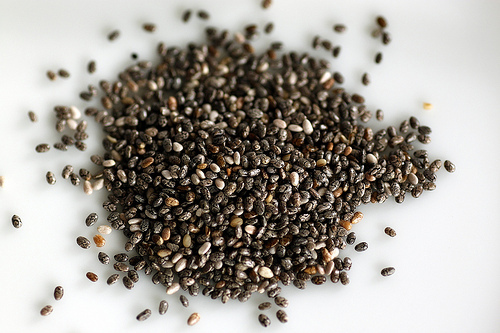 Due to their high fiber content, chia seeds can cause bloating and stomach issues. The high content of omega-3s can thin blood and lower blood pressure. Those who are on blood pressure medication or blood thinners should limit or avoid chia. Some people have allergic reactions to chia. Those who are allergic to sesame or mustard seeds are more likely to have an allergic reaction to chia. Price: The best price currently available at Amazon is Alive and Aware Chia Seeds . They are $.98 per ounce. There are benefits to eating both flaxseed and chia seed. For this busy mom, chia seeds are the winner because they can be used whole. However, I don’t feel using either of them exclusively is a good idea. The key to a healthy and balanced diet is variety. 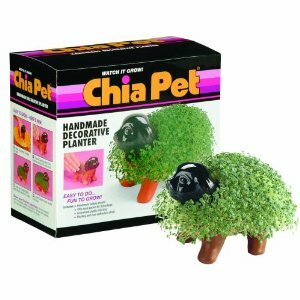 Remember cha-cha-cha-chia pets? Chia is back as a super-food! It’s high in fiber, healthy oils and antioxidants. The cool thing about chia is that it absorbs more than nine times its weight in water and turns into a gel, making it a great egg substitute. Don’t have chia seed? 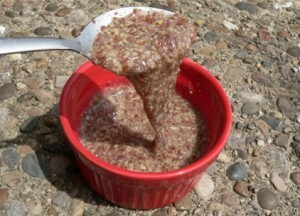 Try this flax seed egg substitute. 1. Combine water and chia and let sit for 10-15 minutes or until it gels. 2. Use 4 Tablespoons for 1 egg. Store in the refrigerator for up to two weeks. You may also like Which is better: Flaxseed vs Chia Seed? Don’t forget to sign up for Real Food Allergy Free updates or become a fan of our brand new facebook page in the side bar. We’d love for you to join us! Need to do some baking without eggs? 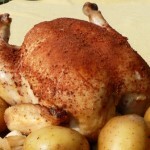 This recipe works great as an egg substitute when the job of the egg is to bind. The flax egg will not make your baked goods rise, but it will keep them from crumbling. I have successfully used this recipe in muffin and granola bar recipes. If you don’t have flax seed, you might try chia seed egg replacement. 1. In a small pan, simmer water and flax seeds until it starts to gel. It takes about 5 minutes for 4 eggs. 2. Let cool. Store in an air tight container in the refrigerator for up to 2 weeks. Ground flaxseed oxidizes very quickly. It is best to purchase whole flaxseeds and grind them yourself. I use an old coffee grinder to grind mine. If you grind extra, store in the freezer. I have found the best place to buy flaxseeds is Amazon. It is a great item on which to use your swagbucks ! You might also like Which is better: Flaxseed vs Chia Seed? 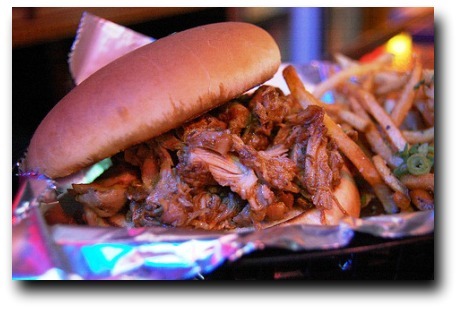 Welcome $5 Dinner readers! I’m so glad you stopped by. Real Food, Allergy Free features recipes that are free of the “top eight” or eight most common food allergens. 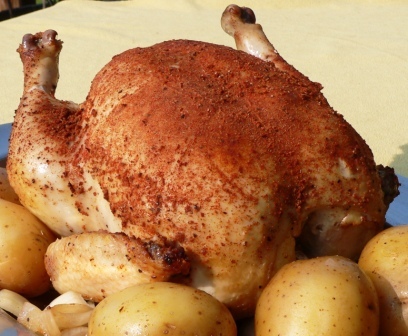 All our recipes are egg, dairy, soy, wheat, peanut, tree nut, fish and shellfish free. For more allergy-friendly snack ideas like Banana Chocolate Chip Muffins click here. I love oats! They are high in fiber and protein. They are proven to help lower cholesterol and fight heart disease. They are extremely versatile. We enjoy them as a traditional porridge, granola, granola bars, pancakes, waffles, cakes, muffins and other baked goods. I love how baked goods stay moist with oat flour. Baking with oat flour can be really affordable if you make your own. All you need is a blender. Just toss some rolled oats (aka oatmeal) in the blender and blend until you have flour. Easy as pie! It takes about 2 ¾ cups oats to make 2 cups of flour. Note: Many people who cannot tolerate wheat cannot tolerate oats. Oats are technically gluten free but some people still react. The jury is still out on why. If you have issues with gluten it is recommended that you purchase certified gluten free oats or avoid oats all together. We are blessed to be able to tolerate most oats.